More than 3,000 miles away from her home in Nigeria, a woman who lost her father in a terror attack sat slumped in her seat. “My father went to work and never came home,” said Juliet, 24, in a room in Catania, Sicily. (I’ve withheld her last name at her request.) A school headmaster and a member of Nigeria’s center-right People’s Democratic Party, her father died in a June 2014 attack suspected to have been carried out by Boko Haram in the Wuse district of Abuja, Nigeria. The loss shook the family to its roots. In the chaotic days that followed, as fear spread in Abuja, Juliet left the city in the direction of Agadez, in Niger. She lost track of her mother and 11-year-old sister, and has not spoken to either of them since the attack. Like the dozens of refugees I spoke to in Sicily, Lampedusa, and Rome in the past few weeks, Juliet faces a long and complex process of applying for asylum. She is one of the 219,000 refugees and migrants who arrived in Europe by sea in 2014, according to UNHCR, and one of 170,000 who landed in Italy. In 2015, the majority of arrivals have so far come from four countries: Syria (31 percent), Eritrea (12 percent), Afghanistan (11 percent), and Somalia (6 percent), according to Melissa Fleming, UNHCR’s chief spokeswoman. These are all countries at war or with repressive dictatorships (Eritrea), so most of their citizens should be given refugee status in the EU, according to EU rules, said Fleming. Those from Nigeria, such as Juliet, will be decided on more of a case-by-case basis. With the majority of people landing in Italy, Greece, and other EU countries so clearly leaving home because they have to, there’s a troubling misnomer at the heart of this ongoing human disaster: Why are we referring to this refugee emergency as the “Mediterranean migrant crisis”? The media uses this term almost exclusively — rarely choosing “refugee.” Yet “migrant” implies a choice: that people like Juliet could have stayed where they were rather than burden the EU with their presence. 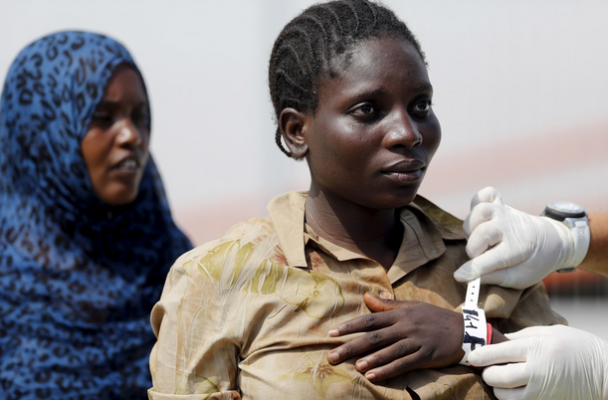 She has not come to Italy for reasons of “personal convenience,” a generally accepted definition for why migrants travel, according to the International Organization for Migration. To read the rest of this op-ed, please click over to Reuters.